Nationwide, the need for Heating, Ventilation, Air Conditioning and Refrigeration (HVAC) repair and installation technicians keeps growing, with the Bureau of Labor Statistics 1 projecting a 21 percent increase in the number of HVAC jobs by 2022. The education and licensing requirements to start out in this field vary by state. Those wishing to work in Washington State should know what type of training, licensing and certification is necessary. Apprentice programs typically give trainees 3 to 5 years of work experience, according to the Bureau of Labor Statistics. Combining vocational training with on-the-job training enhances the learning experience and the employability of students. Apprentices receive hands-on experience working under a licensed HVAC contractor who can help guide them toward their goals. The hours worked may count toward certification and testing requirements. While six Washington cities require licenses for workers who perform gas, mechanical, refrigeration and oil work, only the state regulates the electrical work of HVAC. In Seattle, workers must also have a refrigeration and gas-piping license. 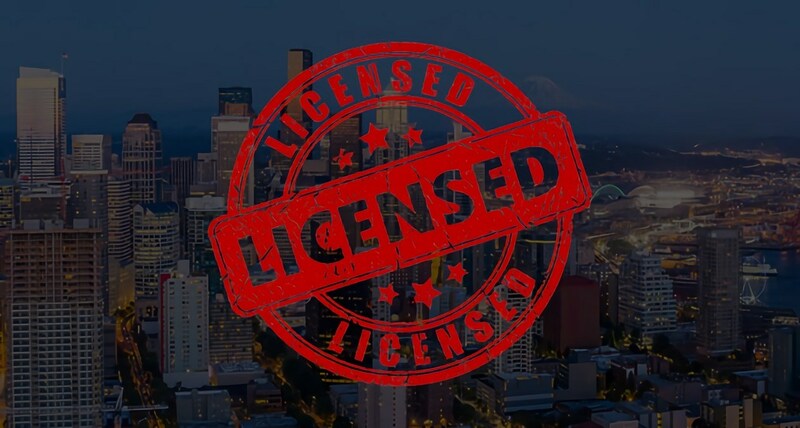 Check with your city to find out if a license is required to work in your industry in HVAC. Contractor: Two types of licenses are available, general and specialty. One must apply to the Department prior to taking an exam for either, providing proof of a Unified Business Identifier (UBI) number linking the business to all necessary government agencies; an industrial insurance account number for those with employees; an administrator or master electrician designation; and an electrical/telecommunications contractor’s bond in the amount of $4,000 or assignment of a savings account containing $4,000. General Licenses can be obtained for those seeking journeyman status and the ability to work with all kinds of wiring. An individual must have at least 4 years of experience in electrical installation, 2 of which must be in new commercial and industrial electrical installation, in order to take the exam. Specialty Licenses allow for more extensive work, including in residential and commercial maintenance and on limited energy refrigeration systems. Proof of 2 years of experience in the specific specialty is necessary to qualify for the exam. Administrator: A designated Electrical Administrator is necessary in every electrical contracting company. This person is responsible for ensuring the contractor’s work complies with relevant electrical laws and rules. No prerequisites exist for the Administrator exam. Similar to contactors, administrators can receive general and specialty licenses. Electrician: There are also two types of electrician licenses, general journey level and specialty. In order to obtain either, one must meet educational and work requirements and apply for and pass an exam. These licenses must be renewed every three years, with 24 hours of approved continuing education. General Journey Level Electrician: Experience requirements include 8,000 documented hours working as an electrical trainee under the supervision of a certified electrician, 4,000 of which must be spent in commercial or industrial installation, or equivalent training and experience in the military or another state. Ninety-six hours of basic classroom instruction are also necessary. Specialty Electrician: Requirements vary with the specialty. Trainee: Learning electrical-related HVAC trades in Washington requires an Electrical Trainee’s Certificate. This certificate, just as the contractor and administrator licenses, must be renewed every 2 years. Trainees must have 48 hours2 of basic classroom education to renew. Washington HVAC students have many avenues to explore during their time in training. Deciding which career path to follow depends on ambition and the immediate financial needs of individuals. Those with more extensive training and licensing may have greater job opportunities and receive higher pay. Contract The Refrigeration School to learn more about HVAC training programs.